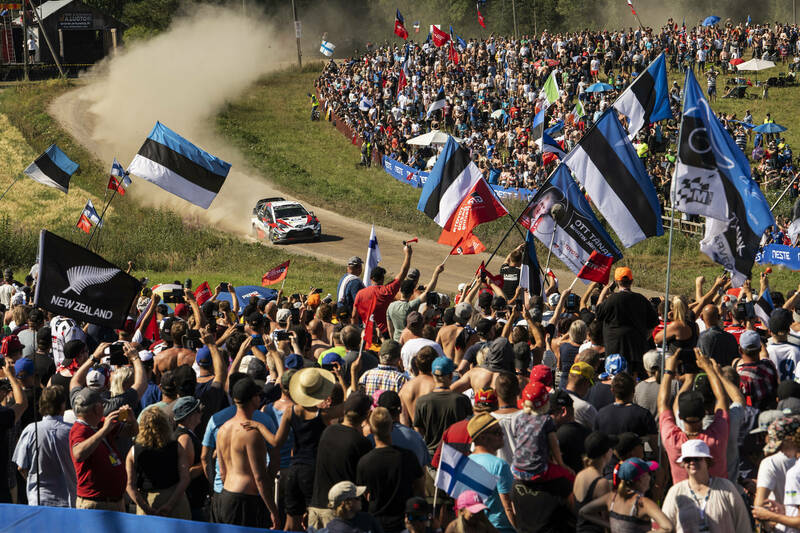 Ott Tänak dominates second leg of Neste Rally Finland to close in on victory. A run of five consecutive speed test victories carried the Estonian Toyota Yaris driver into a 39.0sec lead over Mads Østberg, with whom he fought tooth and nail for top spot in Friday’s opening leg. Team-mate Jari-Matti Latvala completed the top three at the eighth race of the FIA World Rally Championship season. 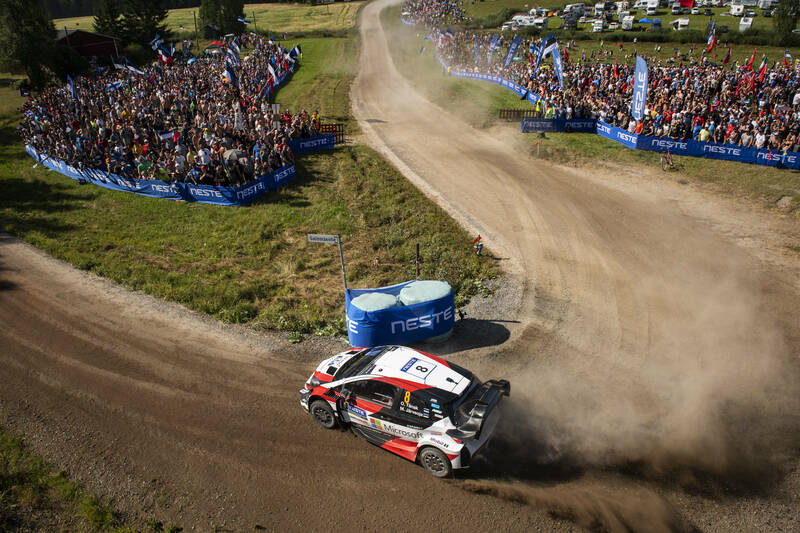 The lead changed hands on four occasions between Tänak and Østberg on Friday but today was very different. A clean sweep of all four blisteringly fast gravel special stages this morning was followed by a fifth fastest time in the afternoon’s opener. His 5.8sec overnight lead ballooned and just four more tests, covering less than 46km, stand between Tänak and a maiden Finland success, which would revive his slim title hopes after a barren run at the previous two rounds. Østberg was comfortable in second this morning but the decision to carry a second spare wheel for the afternoon stages proved costly. The additional weight transformed the handling of his Citroën C3 and he yielded vital seconds to Latvala. 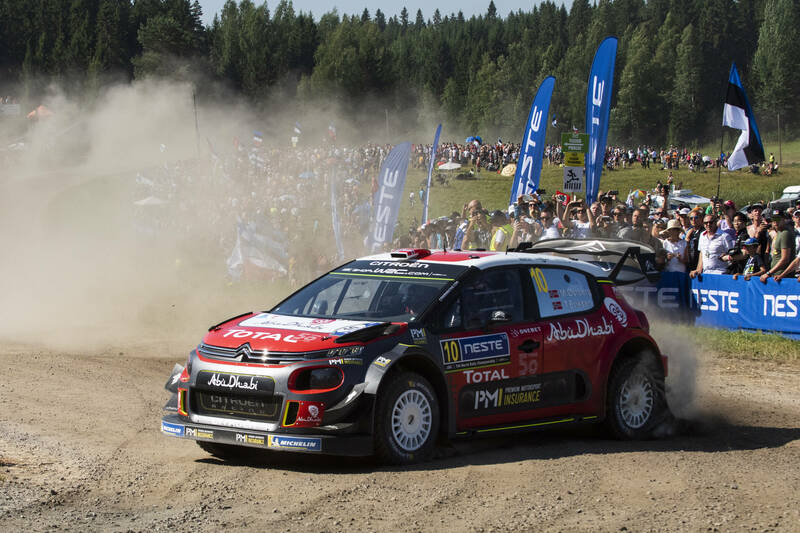 Latvala, three times a winner in Finland, trailed Østberg by 17.6sec at the mid-leg service but slashed the deficit to 5.4sec to set up an intriguing final day duel. Esapekka Lappi ended Tänak’s run of stage victories and reeled off three fastest times of his own. 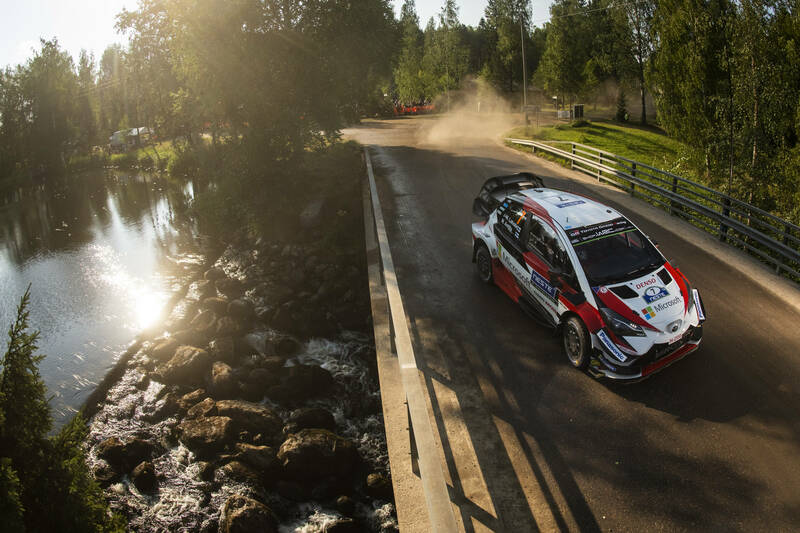 He climbed from eighth to fourth in the third Yaris, setting the seal on an impressive day for Toyota Gazoo Racing, on whose doorstep the Jyväskylä-based rally is held. World champion Sébastien Ogier lacked confidence as he struggled to come to terms with new shock absorbers and an upgraded aerodynamic package on his Ford Fiesta. He was seventh. Championship leader Thierry Neuville failed to make up yesterday’s lost time and remained 10th. The Belgian was again hampered by a lack of grip, courtesy of an early position in the start order, and his only consolation was that main title rival Ogier also fared badly. Sunday’s finale is a quickfire affair featuring two identical loops of two stages covering 45.72km. The last Ruuhimäki test comprises the Power Stage, with bonus points on offer to the fastest five drivers.